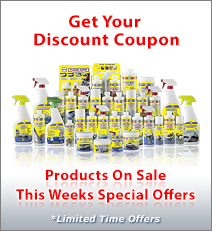 What product do you recomend for cleaning the transom on my sailboat. I have a Cape Dory 25d. This boat has a small diesel and I get a black scum on the transom. 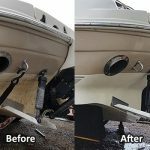 If the diesel soot is superficial, Boat Clean Plus will remove it. Simply spray it on and wipe it away. Another alternative is Aurora Kwik Shine. It will cut the soot and leave a protective polish on the transom. 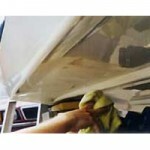 Kwik Shine is recommended if you are going to clean the transom on a regular basis, say every week or two. 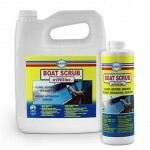 If the soot is in the pores of the gelcoat, you will need Boat Scrub to get the stain out. Use a damp sponge, apply the Boat Scrub to the sponge and rub the stain out. 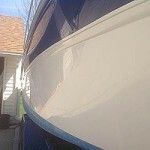 If your transom is waxed with Carnauba Wax, the wax will hold the soot. 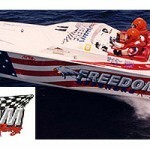 In any case the Boat Clean and Boat Scrub, used full strength will strip the wax. I recommend that after you get the transom Aurora Clean, replace the lost wax with Premium Boat Shine. It is synthetic, will seal the pores and give you a diamond hard, anti-static, finish that will not hold the soot, making it much easier to clean in future. 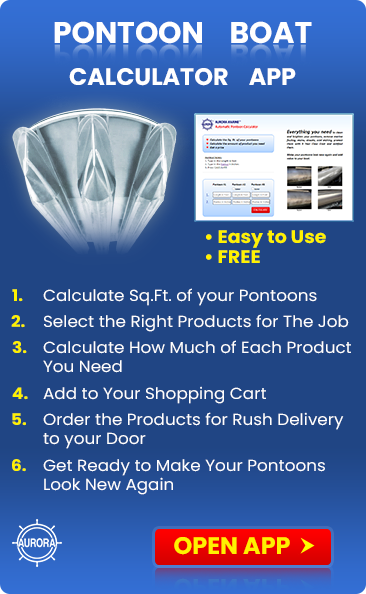 It will also give your transom good UV protection against chalking from the sun.